The National Centre for Replacement, Refinement & Reduction of Animals in Research (NC3Rs) are the go to funder for projects which look for alternative methods to animal testing. Their funding schemes include Project Grants, PhD Studentships and Training Fellowships. Here’s an update on the latest news from NC3Rs. There will be three events held as part of the Pint of Science event – a worldwide festival that brings scientific researchers to your local pub! Stem cells getting on your nerves? Tickets for the events are £4 and you can find out more about it here. NC3Rs have produced a table that summarises the research published to date on the tunnel handling and cupping methods for mice handling. A new observational study has been launched which will help to improve the wellfare of macaques used in research after identifying behavioural indicators of wellfare and pain. You can read more about the new study here. A new paper has been published in the Journal of Neuroscience Methods looking at refinements in how rhesus macaques used in fundamental neuroscience research are trained to enter transport devices. Categories: Events, News | Tags: animals, NC3Rs, news, Research Council, science festival | Permalink. UK Research and Innovation (UKRI) have so far invested £44m into 78 interdisciplinary research projects into Antimicrobial Research (AMR) and with a new 20 year vision and 5 year action plan things are only set to increase. With bacteria’s resistance to antibiotics increasingly spreading from one country to the next, antimicrobial resistance is now recognised as one of the most serious threats to human health this century. If things continue unchecked a 2014 AMR review paper estimates that by 2050 the cost of AMR could be up to $100 trillion and account for an additional 10 million extra deaths each year. In response to this the UK’s Health Secretary, Matt Hancock, has announced a 20 year vision and 5 year action plan (2019 – 2024) with the intent to contain, control and mitigate antimicrobial resistance. Support co-ordinated AMR related research areas. Continue to influence global research strategies on AMR, ensuring alignment of UK-funded research, and emphasising the need for research to be useful for front-line teams. Develop interdisciplinary networks and inform and develop interventions across all sectors. Continue to develop the scientific capacity needed to support and deliver ongoing high-quality research in infectious disease, prevention and microbiology-related disciplines. Both Matt Hancock and Theresa May have echoed the importance of this research and that it is pivotal it be conducted in a multidisciplinary and internal manor. This is a summary of an article on which appeared on the MRC website. For the full article please click here. Categories: News | Tags: Antibiotics, Antimicrobial Resistance, Health, healthcare, immunity, Infectious disease, MRC, news, ukri | Permalink. As you are aware, we are required as an institution to report on the outcomes, outputs and impact of research to be returned to the Research Councils (and a number of other research funders), during and after the end date of funded projects. All RCUK councils adopted the Researchfish system to capture this information. MMU’s compliance rate in the October-December 2014 gathering period was a 100% – we submitted research outcomes for all live research grants and any research grants completed within the last five years. From the first submission period, many research organisations provided feedback on the need for better interoperability with the research information systems used by ROs. Researchfish has been working with a number of organisations on enhancing the current system and this has led to a delay in 2015 submission period for RCUK funders. 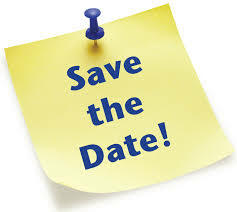 We can confirm the next submission deadline for RCUK funders will be from 1st February to 4pm on 10th March 2016. Researchers (including funded students) will need to submit and return their information within this timeframe. We must ensure all publications acknowledge their research council support and include the award reference number. It is important to note, sanctions will apply for noncompliance. Noncompliant researchers will not be able to apply for further awards from any research council and any current awards will have their payments withheld. The policy document for sanctions can assessed here. As part of the on-going interoperability process, Researchfish is working to integrate with the ORCID registry. This means ‘researchers can push and pull publications and award data between the two systems’. We would advise all academics to register for a unique ORCID identify. Registration for individuals is free on the ORCID website. All new awards will be uploaded in to the Researchfish systems this month (September 2015). Details of existing awards on Researchfish are refreshed annually with data taken from Je-S. Details of new grants are also taken from this source. 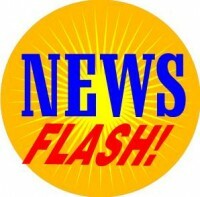 Any changes in information relating to awards, e.g. email addresses, should therefore be made by PIs by 15 November 2015 as this information will feed into Researchfish at the full award data refresh in December 2015. Categories: News, Researchers, Uncategorized | Tags: important information, news, Researchfish | Permalink. Dear colleagues, Professor Martyn Amos warmly invites you to attend the formal launch of the Informatics Research Centre (IRC), to be held in the Business School on September 16. 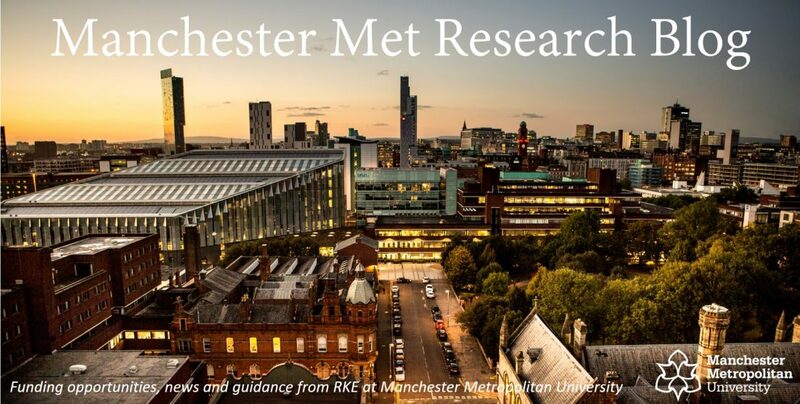 The IRC coordinates leading research in computer science and informatics within MMU, and we encourage colleagues from across the University to attend and find out how we might work together in future. The event will include the first showing of our new promotional video, strategic presentations, and plenty of time for discussion. Categories: Event, Events, News, Uncategorized | Tags: Events, internal networking, news | Permalink. From competition 28 the RfPB programme will be changing. The competition opens for applications on 26th August 2015, and will operate under the new two stage process with the shortened first stage application. Deadline for applications is 2nd December 2015. • four RACs will be merging to form two, North East and Yorkshire and The Humber regions (Yorkshire and the North East) and the South Central and South East Coast regions (South East and Central), reducing the number of RACs to eight. Categories: Funding Opportunities, News | Tags: news, NIHR, Research | Permalink. On 5 March, the council announced that the lower threshold for applications would be raised from £200,000 to £350,000, and the upper threshold decreased from £2 million to £1 million. The changes to the application thresholds will come in to effect from 1st July 2015. Categories: Uncategorized | Tags: ESRC, Funding, news | Permalink. Congratulations and thanks to everyone who submitted their research outcomes in time for the Researchfish deadline last month. We have had confirmation that we were 100% compliant with the request to submit research outcomes for any live research grants and any research grants that have completed within the last five years. Researchfish is an online research outcomes recording system for researchers and funding organisations. The Researchfish system has replaced ROS (Research Outcomes System) to collect the outcomes of any research that is funded by RCUK research councils (AHRC, BBSRC, EPSRC, MRC, NERC, STFC). There are also nearly 90 public and charity funders that use Researchfish to collect research outcomes. In January we will be making further announcements about Researchfish. We will be posting FAQs, crib sheets and further guidance; what it is, what you have to do and when you have to do it. Categories: Guidance, News | Tags: guidance, news, research outcomes, Researchfish | Permalink.